It’s almost a month since we finished the Studmarsh dig. I can honestly say that it was one of the best Summers of my life. Coming back down to earth has been incredibly hard, hence a bad dose of Blogger’s Block. 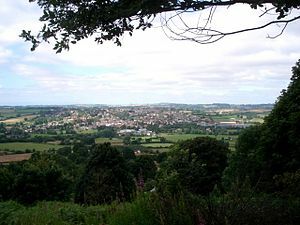 We are meeting tomorrow at Whitbourne, near Bromyard, to discuss the findings of the dig and the next phase of the Past in Mind project. This has really made me realise that I can’t put off writing any longer. I want to capture the Studmarsh Summer before it becomes obscured by Autumn mist. Weather-wise we faced many endurance tests throughout August. 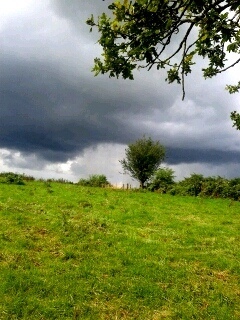 Twice we had to abandon the site altogether because of thunderstorms and torrential rain. It was the kind of penetrating rain that seems to make your insides wet. But at least it showed me that “Blog from the Bog” is an apt name. The Studmarsh site is literally a bog – and its watery underside is one reason why it was favoured by our ancestors. We did have some days where the sun shone for us so that we could dry out before the next downpour. These days were golden nuggets. As time went on the daily trek to reach the site became more enjoyable. I can’t say that for the trek back at the end of the day. The track was uphill on the way back, and we all felt it. But I think everyone became very attached to the field which saw most trowel activity. 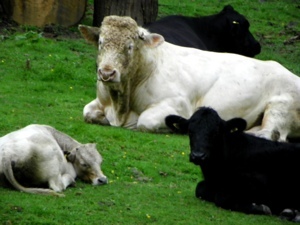 It was flanked by a herd of benign cows and a seriously macho bull. They watched us go past twice a day and even escorted us to the gate on one occasion. (Being seen off the premises by a herd of cows is where I draw the line regarding new challenges). 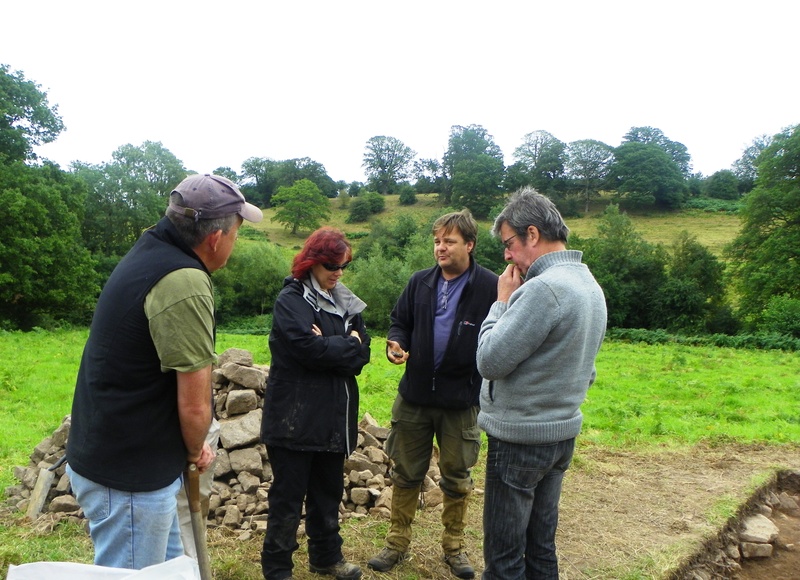 One of the aspects of the dig which I enjoyed most was the time spent with archaeologists and fellow volunteers. I loved the mix of banter and informative conversation. Right from the start there was so much to learn. Sieving and trowelling were just the start… The site archaeologists, Chris and Dai, are both talented teachers although they might not realise it. I never thought that I’d be asked to taste and smell mud and soil to identify them – yet by using taste and smell you really can identify some of their properties. Sometimes I found it difficult to tell the difference between silted rock and earthenware, and at first I was having many pseudo “Eureka” moments. But I was taught how to feel the difference between them and this helped me to home in on a couple of finds. This hands-on approach quadrupled my self-esteem. I thought my lack of sight would be an impediment in archaeology, but we found a way round everything except how to code the colour of soil on the Munsell chart. Even this obstacle could be overcome with the help of technology – a University Lecturer who visited the site, is on the case! 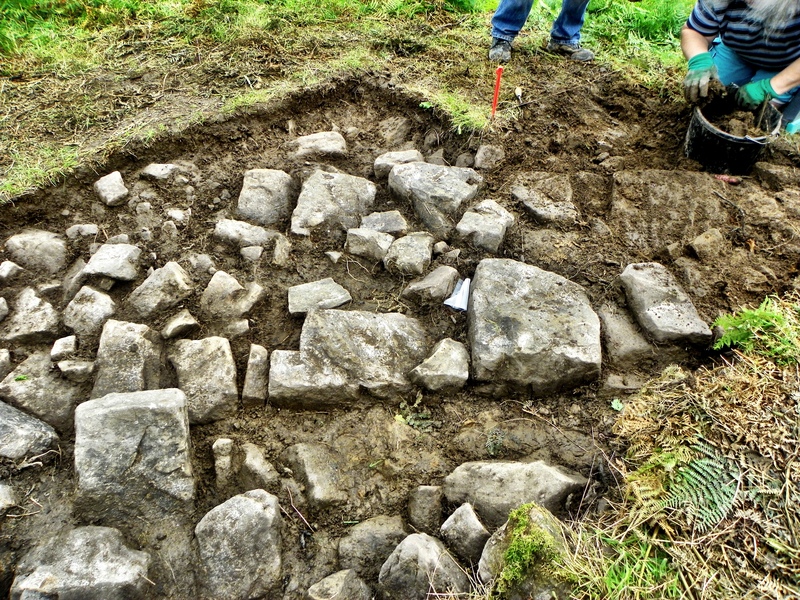 The trench that most of the volunteers worked in revealed part of a Medieval building which probably belonged to a local official. The size of the stone, as well as the dimensions of the “rooms”, indicate considerable wealth. At the time of the dig the theory was that the Studmarsh site had been abandoned in the 14th century. The Black Death, political unrest and local famine would all have played their part. As we slowly uncovered the huge stones until we reached bed rock, I felt a real sense of sadness for the people who had first placed those stones and lived in the Studmarsh field. No matter how many centuries have gone by, when you’re removing layers of someone’s home it still feels intrusive. That’s why I was so pleased to take part in the backfilling work at the end of the dig. It felt like a mark of respect to place the stones back in the earth where we had found them. Entwined in the long grass of Studmarsh there is undoubtedly personal tragedy. This had a very profound effect on me at the time and it has not left me completely. Having said that, this huge boggy field with the Pedunculate oak tree is one of the most peaceful places I have visited. Many volunteers who participated in the dig are recovering from mental health troubles. It was so refreshing to take part in a challenging physical activity with no hint of Day Care about it. Although every part of me ached, I felt proud of my exhaustion at the end of each day because I had earned it. Being outdoors with a very eclectic group was so beneficial, and I relished the fact that community spirit brought everyone together no matter what their background. It was invigorating having such a specific focus – i.e. discovering the secrets of Studmarsh. At the point of slicing your trowel into the earth and loosening a piece of pottery there is little room for mental distress. That has got to be worth savouring. 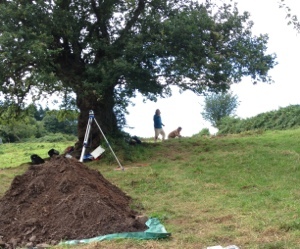 The Studmarsh dig has given me an archaeological bug which is not likely to diminish. Now I know how much clout depends on the size of an archaeologist’s trowel I hope I’ll get the chance to volunteer at least once a year. Thank you to archaeologists Ian Bapty, Dai Williams and Chris Atkinson for giving us volunteers a Summer which the rain didn’t drown. If you were asked to depict a historian, what would you say? 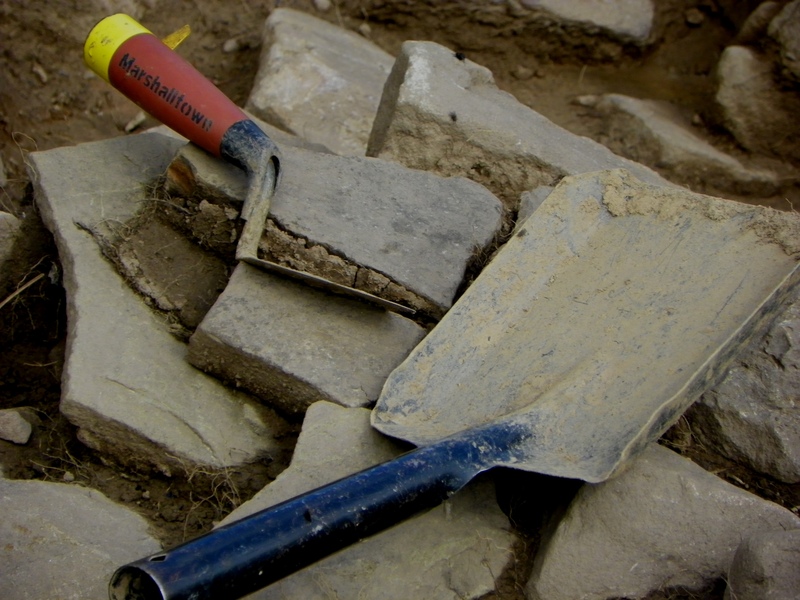 If you were asked to depict an archaeologist, what springs to mind? If you were asked to depict a person with bipolar disorder, would you have an image in your head? Humans are very good at stereotyping. We like people to fit into neat boxes and categories. When someone doesn’t quite fit into any box or category, it often causes discomfort – even annoyance. A Past in Mind is a community project which has an inclusive approach. Accepting that some volunteers may be experiencing mental health problems has meant that everyone is tolerant of others in the group. There is no “them and us” theme. We’re a group of people interested in history and archaeology. We had our volunteer Taster Day two weeks ago. The sun was shining and this made the general mood even more exuberant. I must confess that I did not know what to expect. I knew that we were going to be given a general introduction to studying historical records, but that was it. We virtually hijacked the archives research room in the Bromyard Records Office. It’s a room that is not accustomed to general chatter, and at first the creaky floorboards seemed disgruntled at our noisy intrusion. After a while though, I felt the building relax enough to give us its blessing. After all, the disruption was academically inclined. At the beginning of this post I mentioned stereotypes. I quickly realised that no one in the group could be summed up or categorised. This was brilliant! One volunteer possessed incredible knowledge about eider ducks (hence the header picture – as the eider duck was integral to our brainstorming session). Others volunteered historical facts and dates, general knowledge and local history expertise. It was clear that each person in the room had something to contribute, and the mix of skills and knowledge created such a fusion of brain-sparks that I literally felt my head buzzing. Speaking more generally, it is important not to have preconceived boxes ready to house this project’s discoveries. An open mind is key to our success. By the end of the two hours the group was united in its passion for discovery. Our starting point had been one man, a Yeoman who owned land in the area and had made a Will in 1674. From this single Will, we could glean information about what type of person he was, what he may have been through during his lifetime and how it may relate to the events occurring in Britain at the time. In effect, history became real and touchingly human. I felt that I’d become intrinsically connected with the local area and the people who once tilled its soil. Our Yeoman was no longer just an entry in local records, he was alive in our discussions to the extent that he was almost tangible. I cannot wait to explore further. Not only that, we gelled as a group and this helped us to work together creatively. The feel-good factor was second-to-none. I knew that I would get absolutely no sleep that night – my brain was electric. This Taster Day was a great beginning for the Past in Mind project. The most gratifying thing was that everyone present was eager to find out more and to continue with the project.